Dedicated server accounts can access the cPanel, reset the password, and create or terminate cPanel accounts from the WHM interface. 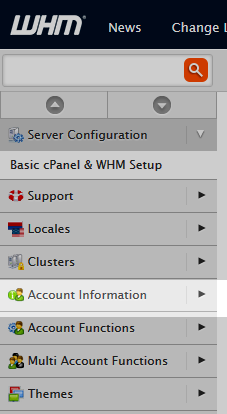 This tutorial will step you through how to access cPanel accounts using the WHM interface. Click on the Account Information category in the left-side menu pane. Click on the List Accounts option. A list of the cPanels owned by the WHM user will appear. 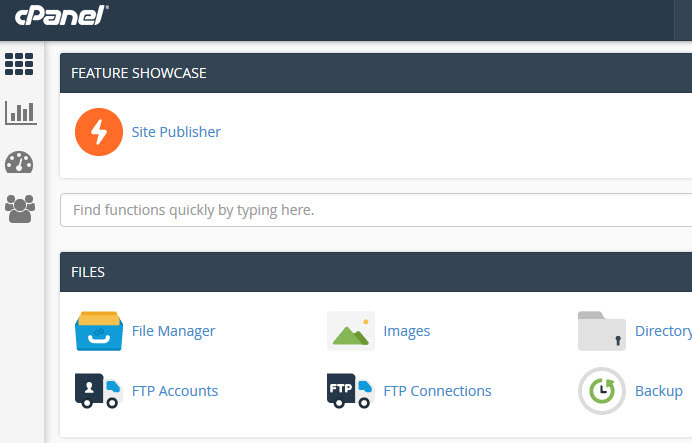 To access one, simply click the cPanel icon. Now you should be able to see the cPanel just as if you had logged in as the client or cPanel user. You can learn how to reset cPanel passwords within WHM to help your clients if they forget.